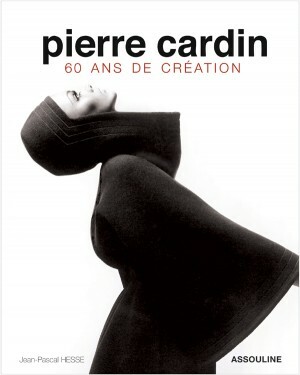 NEW YORK, Oct 21, 2010 / FW/ — Released last July, the “Pierre Cardin: 60 Years of Innovation ” celebrates 60 years of revolutionary design by the famed French designer. And with Pierre Cardin set to receive the the Board of Director’s Legend Award at the Fashion Group International on October 28, 2010, the book’s gala launch in the U.S. on Thursday October 26 is a fitting tribute to the extraordinarily innovative and iconoclastic designer. To be hosted by Prosper & Martine Assouline, the cocktail reception and book signing will be held at the ASSOULINE boutique at The Plaza Hotel. Expected guests include the honoree himself, Pierre Cardin, Prosper & Martine Assouline, Bernard Aiden & Catherine Malandrino, Muffie Potter Aston, Andre Balazs, Kelly Killoren Bensimon, Robert Burke, Anne Christensen, Prince Dimitri, Pamela Fiori, Marilyn Gauthier, Gemma Kahng, Meredith Melling Burke, Amy Rosi, Margaret Russell, Jane Seymore, Valerie Steele, and Blaine Trump with more confirmations to come. Pierre Cardin: 60 Years of Innovation celebrates the sixtieth anniversary of the Masion Cardin, with a commemorative retrospective of the work of its founder, fashion designer Pierre Cardin. Born in 1922 in San Biagio di Callalta, near Venice, Pierre Cardin immigrated to Paris in 1924. After working briefly with Elsa Schiaparelli, Cardin joined Dior in 1946 and opened his own couture house in 1950. He was a pioneer from the start, creating a design-based, architectural fashion with a futurist sensibility. This volume is a tribute to this extraordinarily innovative and iconoclastic designer, taking a primarily visual perspective, highlighting Pierre Cardin’s contributions to the world of couture, fashion, and perfume, reflecting his spirit and energy as well as the brand’s international presence. Pierre Cardin will receive the highly-coveted Superstar Award from Fashion Group International on Thursday, October 28, followed by a fashion show premiering his new Spring 2011 collection on Friday, October 29.